(Rolla, Mo.) – Missouri S&T women’s soccer coach Jon Kiester has announced the signing of six student-athletes to national letters of intent plus another one that plans to walk on and play for the Lady Miners in the upcoming 2010 campaign. The newcomers are Leilah Saadi, Audrey Barnard, Kirstin Kurilla, Kimberly Ekholm, Jaclyn Standfast, Nicole French, and Kelsey Salzman. Below are bios on all seven of the signed players. Jaclyn Standfast – 5-6, senior, Rolla High School. Standfast played at Rolla High for head coach Mike Howard. She plays center midfield and has earned all-conference, all-district and all-southwest Missouri region honors. Standfast led the Bulldogs in scoring last season with 11 goals and eight assists for a total of 30 points. Leilah Saadi – 5-5, junior-college transfer from Hutchinson Community College. Saadi competed for two seasons at Hutchinson Community College as a forward. In her two seasons there she scored 24 goals and had 19 assists for a total of 67 points in a total of 32 contests. Last season she scored 13 goals and had five assists for a total of 31 points in 12 games. Saadi had five multi-goal games including a pair of three-goal games against Allen County and Garden City Community Colleges. As a freshman she appeared in 20 games scoring 11 goals and dishing out 14 assists for a total of 36 points and was a second team all-region selection. Saadi scored in six different games with three multi-goal games. Saadi, a native of Topeka, Kan., played at Topeka West HS for head coach Chris McGinnis. She was the team’s most valuable defender in 2007 and 2008. She plans on majoring in civil engineering. Audrey Barnard – 5-6, senior, Raytown High School, Raytown, Mo. Barnard is a two-year letter-winner for the Blue Jays heading into her senior season. Last season she was an honorable mention all-conference selection and helped her team to a conference championship. She is a “Wendy’s High School Heisman” nominee. Barnard is also a member of the KC Select United club team and plans on majoring in mechanical engineering. Kirstin Kurilla – 5-5, senior, Edwardsville High School, Edwardsville, Ill. Kurilla earned all-state honorable mention as a midfielder last season at Edwardsville High School. She plays for the club team St. Louis Scott Gallagher. 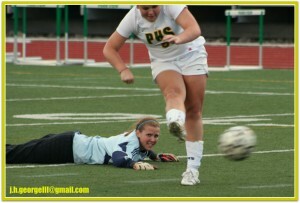 Her older sister Kelsey has been a goalkeeper the past three seasons for the Lady Miners. Kimberly Ekholm – 5-6, senior, Cypress Springs High School, Houston, Texas. Ekholm, a center midfielder, has been an all-district selection each of the last two seasons and served as one of the team captains. She is a member of the club soccer team Albion Hurricanes FC. 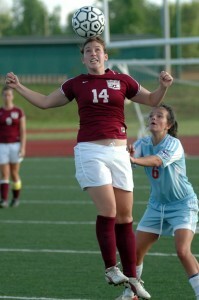 Her sister Shelly is also a member of the women’s soccer team at Missouri S&T. Nicole French – a senior midfielder at Oakville High School scored a pair of goals and had an assist last season for the Tigers. One of her goals was a game winner. She also plays midfield for her club team MC United. Kelsey Salzman – 5-5, senior, Notre Dame de Sion High School, Kansas City, Mo. Salzman has played for three years at Notre Dame de Sion. During her time there she has been a part of three straight Missouri Final Four teams. As a freshman in 2007 she helped her squad to a second place finish in Missouri Class 1. 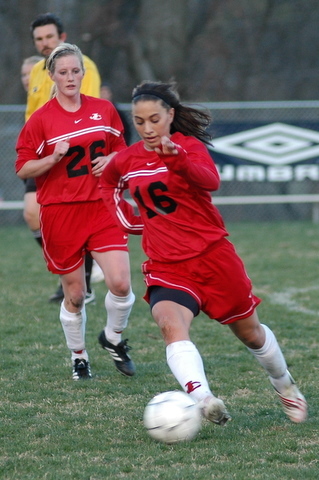 In 2008 she was a member of the team that won the Missouri Class 1 state title 1-0 over Notre Dame (St. Louis). Last season she helped her team to third place finish in Missouri Class 2. Salzman is also an exceptional runner competing in the Missouri State High School Cross Country Championships all four years, finishing second in 2007 and fourth in 2008. She plays club soccer for the Chili Peppers in Kansas City. Her older brother Daniel was a member of the Miner soccer team for four years from 2005-08. She plans on majoring in nuclear engineering. The Rolla High School girls’ soccer team will be looking for more offense this spring. 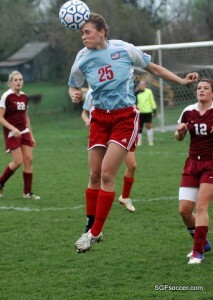 The Lady Bulldogs had a strong defensive effort throughout 2009, allowing just 17 goals all season long. However, RHS simply couldn’t find the back of the net enough on the other end of the field. Rolla finished with a 16-7-3 record last year, reaching the district tournament championship game. From that squad seven starters and 10 varsity lettermen return. 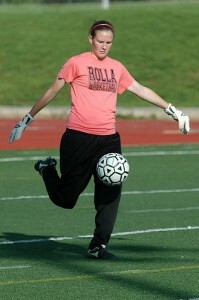 Leading the charge for RHS is senior goal-keeper Adrian Pogue, an all-state selection last season. Pogue recorded 14 shutouts last season and is the Lady Bulldog career shutout leader with 34. RHS will start three defenders – senior Katherine McCaulla, sophomore Kendra Wood and junior Ashlee Rightnowar. Starting outside midfielders are senior Katelyn Maddy and sophomore Taylor Tronstad while the center midfielders are sophomore Taylor Banholzer and senior Jaclyn Standfast. The three forwards are seniors Olivia Cox and Kaylyn Stoll and junior Ellen Spooner. Rolla is scheduled to begin the season on Friday, March 26, opening the Central Federal/RHS Girls’ Soccer Classic against Washington at 5 p.m. on Kiwanis Field. RHS is also scheduled to play Springfield Catholic at 9 a.m. and Columbia Hickman at 2:45 p.m. on Saturday, March 27 in the event.